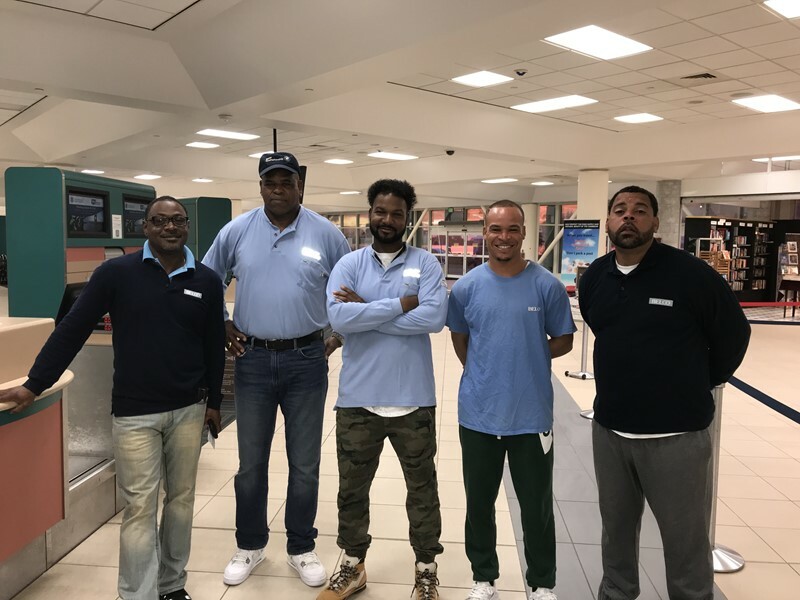 BELCO sent its third crew to Tortola, British Virgin Islands [BVI] on Monday to further assist with ongoing hurricane restoration efforts following the devastating effects of the Category 5 Hurricane Irma. Hurricane Irma, one of the most powerful hurricanes ever to be reported, caused wide-spread destruction throughout BVI, including its national electricity grid. This was followed, two weeks later by Hurricane Maria, and between both hurricanes, approximately 90% of BVI’s electricity network was destroyed, including damage to BVIEC’s own power station, disabling 34.5 MW of its generating capacity. BELCO explained that reports received by Caribbean Electric Utility Services Corporation [CARILEC] and BVIEC in early December, at the time BELCO’s second crew was returning to Bermuda, indicated that approximately 42.5% of BVI’s average load [or 14MW] was online; approximately 50% of the network had been energised; and approximately 45% of customers had been reconnected. BVIEC, the Island’s electric utility also made a formal plea to all external utilities that had provided support from September through December 2017, to have crews return to BVI the new year in order to achieve their goal of having full power restored to BVI by the end of February 2018. BVIEC’s request for additional support did not fall on deaf ears with BELCO, and on Monday, January 22nd, 2018 a crew of five Linesmen were deployed to Tortola, BVI, four of whom had previously served. “People are happy we are back, the reception that we got when we arrived back in Tortola was great. Everyone that we knew, and the people in the areas where we are working, were really happy to see us back and to have us here working. This is what we do. The current BELCO crew is expected to remain in BVI for a six-week period where they will continue to work on rebuilding the Island’s electricity infrastructure and restore power to local residents. 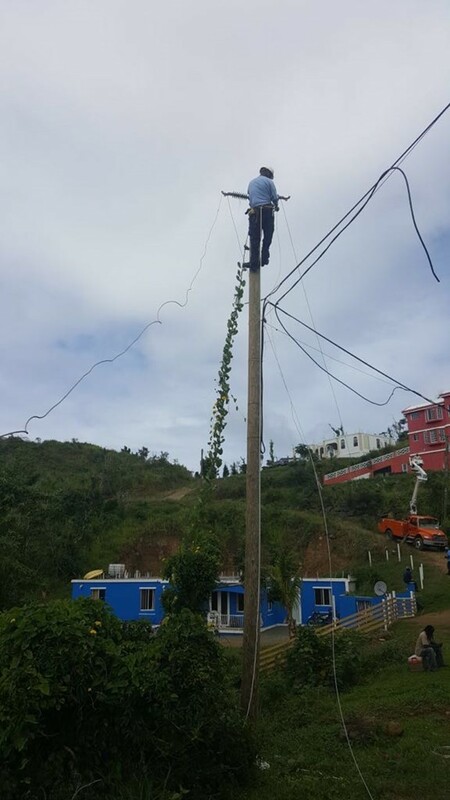 It is anticipated, however, that BELCO will continue to provide support crews until power is fully restored to BVI. 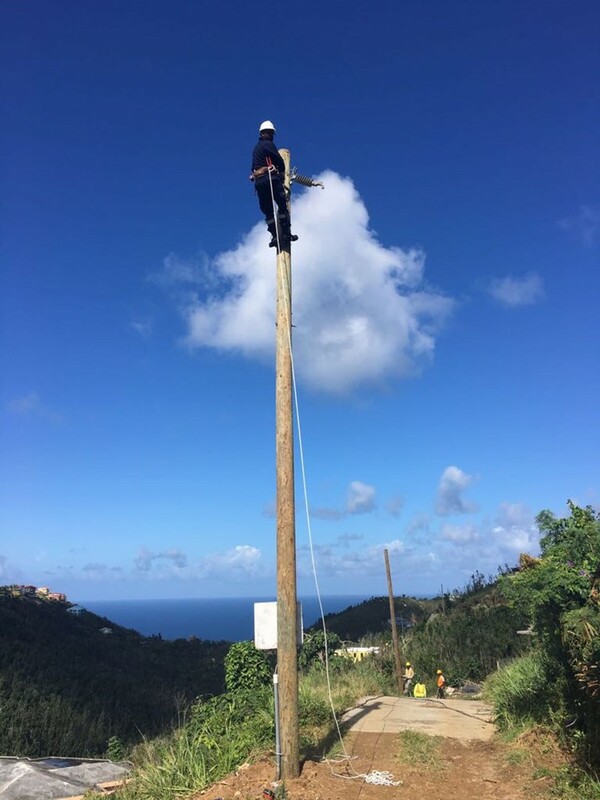 The public can keep track of BELCO’s BVI Linesmen Crew on Facebook and Instagram. “Borrowing from the recent words of BVIEC’s General Manager, from the beginning, it was clear that this race was not a sprint, it was a marathon,” says Vice President of Grid Operations, Dennis Pimentel. We in the BVI are eternally grateful for the assistance of the BELCO Crew and the others from in and outside the region for coming to assist in the recovery efforts. May God bless you all!